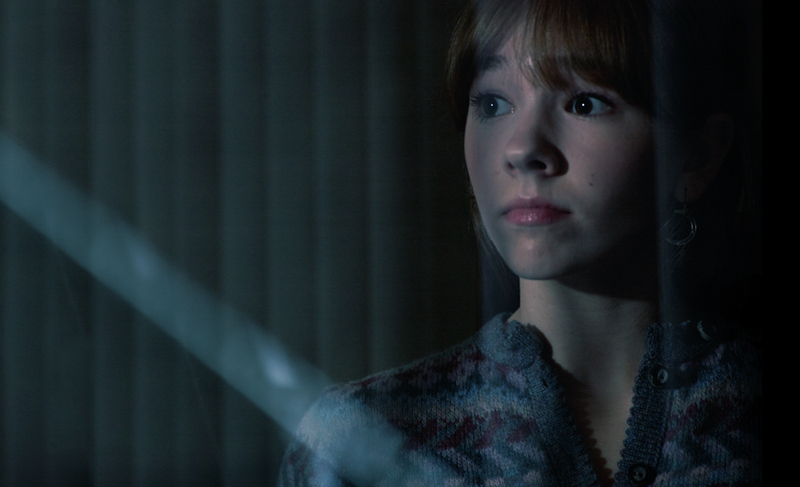 Anyone else still holding their breath after last night’s episode of The Americans? Even though the show spent the entire third season leading up to this very moment, it still caught me by surprise. I’m talking about the moment when Paige Jennings confronted her parents about the fact that their lives make no sense. You see, young Paige has finally caught on to the fact that most travel agents don’t deal with endless emergencies in the middle of the night. She’s also done the math and realized that they have absolutely no family in the country. Well, except for that time Aunt Helen apparated into Season 2, and then apparated right back out. Rather than hold out on their daughter any longer, Philip and Elizabeth decide to tell her the truth. Well, the beginning of the truth. They tell her that they’re Soviet Union spies who are just doing a little homework assignment for their country, but they leave out the fact that they’re also experienced murderers who will sleep with anyone to get the job done. Which, honestly, I found to be a refreshingly smart parenting choice for the Jennings. I’m honestly shocked Elizabeth didn’t immediately get out her kill list and start bragging to Paige. I would’ve assumed she’d been waiting for this mother-daughter bonding moment ever since she popped Paige out. The rest of the episode, or the Jennings’ part, at least, revolved around the growing tension over whether or not Paige would tattle on her parents. And oh em gee, was the tension growing! Paige has way too much power right now. While I’m sure she loves her parents deep down, she’s not all that crazy about them at the moment. (And to be fair, her reasons for that are pretty solid.) So that fact, combined with the fact she’s a hormonal teenager with no concept of the words “future” or “foresight” makes me think she’s going to do something really stupid. Even worse, I fear that the really stupid thing will involve Pastor NeedsToLearnToMindHisOwnBeeswax. Side note: Anyone else starting to get the feeling he won’t survive the season? More: Is Keri Russell dating her costar Matthew Rhys? I’m honestly not sure if my heart can handle the rest of the season, since I just know that I’ll spend every episode waiting for Paige to tell on her parents. Especially because you saw the wheels turning in her head last night when Stan came over for dinner. It was like she just realized exactly how much of her life is a lie. It’s not just that her parents are spies, it’s that their entire life’s been crafted around their spy business. If she can’t even count on the fact that FBI Agent Stan is her dad’s best friend, what can she count on? Well, besides Henry being oblivious to his family imploding all around him. Considering that FX just signed the show for a 4th season, I can hold out a little hope that this season won’t end with Elizabeth and Philip in prison. But ugh, now that Paige knows, you just know that the end of the spy days are rapidly approaching. And this, my friends, is why we don’t give teenagers this kind of power.